The Best Canadian Music blogs from thousands of top Canadian Music blogs in our index using search and social metrics. Data will be refreshed once a week. Also check out Canadian Music Videos from Best 10 Canadian Music Youtube Channels. 2.23 A Music Blog, Yea? Canadian Music newsletter is a comprehensive summary of the day's most important blog posts and news articles from the best Canadian Music websites on the web, and delivered to your email inbox each morning. To subscribe, simply provide us with your email address. Canada About Blog FYI Music News is a site updated weekdays, written for and about Canada's music and music industry. Its newsletter is subscribed to by music industry professionals and neophytes, government agencies, associations, musicians, and music fans. It offers a tightly written digest of key events and news of the day in Canada and beyond at the start of each workday. Facebook fans 2,257. Twitter followers 38,814. Canada About Blog Canadian Beats Media is an online music publication dedicated to all things Canadian music. Canadian Music Blog featuring interviews, reviews, and more from all of Canada's talented artists. Facebook fans 4,087. Twitter followers 10,294. Montreal About Blog One of the first Canadian music blogs—co-founded by Giller Award-winning author Sean Michaels—is going strong, providing poetic observations and commentary on Canadian indie music that would normally fly under the radar. Facebook fans n/a. Twitter followers 11,804. Canada About Blog CBC Music is your hub for coast-to-coast-to-coast Canadian music. Watch exclusive performances, candid interviews, and behind-the-scenes content featuring your favourite artists. Facebook fans 157,863. Twitter followers 80,693. ÜT: 40.745021,-73.729404 About Blog EARMILK is an online music publication based out of the United States & Canada which has an international appeal with its top cities being major metropolitan areas all over the world. EARMILK is an online music publication that straddles the line between underground and mainstream. Covering Hip-Hop, EDM, Indie, MP3s, downloads, festivals and the in-between. Facebook fans 152,696. Twitter followers 48,703. Toronto About Blog Indie88 (CIND-FM) is Toronto’s New Alternative. Launched on August 3rd, 2013, as Canada’s first indie music station, Indie88 provides a platform for emerging artists while paying homage to the classics that inspired them. Indie88 is where new music belongs. Facebook fans 103,255. Twitter followers 46,665. Canada About Blog HipHopCanada covers the Canadian hip-hop scene for 15 years. It is dedicated to all aspects of Canadian hip-hop and rap culture, rap music and the Canadian hip-hop scene. Facebook fans 17,976. Twitter followers 38,054. About Blog EDM Canada is the best electronic dance music calendar in Canada. EDM Canada is committed to bringing you the very best calendar on all upcoming electronic dance music events in 6 major Canadian cities. Facebook fans 659. Twitter followers 7,469. Toronto, ON About Blog The Spill Magazine is a Toronto-based online publication dedicated to covering the independent music scene with a strong focus on our thriving hometown talent. Facebook fans 10,236. Twitter followers 5,952. Toronto About Blog We are a bunch of crazy people who love Canadian music. Find new music, interviews, album reviews and more. Tiana Feng and her dedicated crew of contributors have been highlighting our favourite Canadian music on Ride the Tempo. Facebook fans 2,659. Twitter followers 4,411. Toronto About Blog Eric Alper is a Freelance Music Publicist. He is a SiriusXM Host. He've been named to Billboard Magazine, Paste Magazine and The National Post’s best on social media, and honoured to be on Canadian Music Week’s Advisory Board and The City of Toronto’s Music Industry Advisory Council. He loves to talk about music. Facebook fans 22,765. Twitter followers 999,649. Niagara Falls, ON About Blog Canadian Musician magazine is Canada's magazine for professional and amateur musicians. Published since 1979, the magazine covers prominent Canadian artists, the latest gear, technique and the business of music. Facebook fans 39,127. Twitter followers 7,285. British Columbia, CA About Blog The Canadian Music Blog is an online magazine dedicated to providing information about popular music performed by Canadian recording artists, that is recording artists who are Canadian citizens regardless of where they are based. Facebook fans 264. Twitter followers 3,433. Canada About Blog Justin Drew Bieber is a Canadian singer and songwriter. He became the first artist to have seven songs from a debut record chart on the Billboard Hot 100. Facebook fans 78,769,987. Twitter followers 101,862,780. About Blog Carly Rae Jepsen is a Canadian singer, songwriter, and actress. She performed in several lead roles in her high school's musical productions, eventually pursuing musical theatre at the Canadian College of Performing Arts. Facebook fans 12,407,450. Twitter followers 11,017,577. Toronto, Ontario About Blog Abel Makkonen Tesfaye, known professionally as The Weeknd, is a Canadian singer, songwriter and record producer. Facebook fans 7,276,201. Twitter followers 7,000,082. Timmins, Ontario About Blog Shania Twain, OC is a Canadian singer and songwriter. Twain has sold over 100 million records, making her the best-selling female artist in country music history and among the best-selling music artists of all time. Facebook fans 5,003,390. Twitter followers 877,121. About Blog A Tribe Called Red is a Canadian electronic music group, who blend instrumental hip hop, reggae, moombahton and dubstep-influenced dance music with elements of First Nations music, particularly vocal chanting and drumming. Facebook fans 166,539. Twitter followers 42,102. Toronto, NY, World About Blog One of the world’s 100 most influential music blogs according to Style of Sound. Listed in CBC‘s list of ‘Canadian music blogs you need to be reading’. Sidewalk Hustle was launched back in 2007, at first as a weekly music podcast later morphing into a daily blog saturated mainly with local music coverage, fashion news, and culture. Facebook fans 20,707. Twitter followers 49,605. 23. A Music Blog, Yea? Facebook fans 12,199. Twitter followers 35,668. British Columbia About Blog BeatRoute Magazine is a monthly arts and entertainment publication with a predominant focus on music — local, independent or otherwise. Founded in June 2004 by Glenn Alderson and Brad Simm, BeatRoute Magazine continues to provide a healthy dose of cultural critique while exercising rock 'n' roll ethics. Facebook fans 3,967. Twitter followers 6,677. Halifax, NS About Blog We are the Flip Side of the Halifax Music Scene - Photos, Podcasts, Reviews, We love the Scene here in Halifax and want to spread the word. Facebook fans 2,798. Twitter followers 8,248. Toronto About Blog For over 16 years, The GATE has been obsessed with covering all things entertainment, culture, and style; from film, music and television, to travel, gaming and electronics. The GATE is Toronto's online entertainment magazine. Facebook fans 818. Twitter followers 2,599. San Francisco, CA About Blog Discussion, news and everything about Canadian music. Facebook fans 1,147,436. Twitter followers 508,024. Facebook fans 111,452. Twitter followers 11,848. Toronto Ontario About Blog Cashbox Magazine is Canada's Premier Online Music Magazine covering all aspects of the music industry. It has up to date music industry news and information. Focusing on Canadian and International artists. Facebook fans n/a. Twitter followers 911. Canada About Blog Indie Current is an independent music blog and YouTube collective with a profound passion for all things music. We are a hard-working team of writers and music enthusiasts from around the world who are dedicated to uncovering the best independent music. They keep you connected to the independent music scene. Facebook fans 15,755. Twitter followers 2,656. Montreal About Blog Le Canal Auditif is a Quebec blog dedicated to independent music featuring experienced and enthusiastic collaborators. Facebook fans 4,862. Twitter followers 2,558. Toronto, Ontario About Blog While other blogs are focused on clickbait headlines we dedicate our time to finding new music and exploring fresh sounds. With a hip-hop heart and a strong electronic music focus, we cover everything from Rap, Trap, Future Bass, House, Jersey Club and more. In addition to sharing new music we provide in depth reviews, exclusive interviews, guest mixes and more. Facebook fans 1,987. Twitter followers 1,202. Canada About Blog Keep up with Canadian Muic from if it be your will. Canada About Blog A blog for emerging and experimental Canadian music and arts. Weird Canada exists to encourage, connect, and document creative expression across Canada. Facebook fans 14,543. Twitter followers 13,477. Canada About Blog Blue Rodeo is a Canadian country rock band formed in 1984 in Toronto, Ontario. They have released 15 full-length studio albums, four live recordings, one greatest hits album, and two video/DVDs, along with multiple solo albums, side projects, and collaborations. Facebook fans 124,402. Twitter followers 21,957. Ottawa, ON About Blog Ottawa Showbox is one of the capital's leading resource for local music news and the best way for people to stay in touch with music industry activity in Ottawa. Their purpose is to uncover and disseminate the music that is exploding out of Ottawa. Facebook fans 2,840. Twitter followers 5,394. Toronto, ON About Blog Grayowl Point is a blog focused on the Canadian music scene at large. Their mission is to spread the word about good music. Their team is based in Toronto, they turn an eye to all Canadian provinces and territories. Facebook fans 1,352. Twitter followers 3,407. Facebook fans 1,257. Twitter followers 12,239. Ottawa About Blog Welcome to PhotogMusic by Ming, an Ottawa based photographer and also having a big passion for music, art, culture happening in and around the city. Facebook fans 1,091. Twitter followers 2,630. Canada About Blog CanadianDope.com is the #1 source for the best urban music in Canada. It is an online outlet focusing on promoting the best artists from Canada; in Hip Hop and R&B. You can find the hottest music, videos and mixtapes here. Facebook fans 1,876. Twitter followers 30,606. Winnipeg, Canada About Blog Independent record store in Winnipeg featuring new, used and collectible vinyl records, CDs and DVDs. Facebook fans 1,977. Twitter followers 340. Canada About Blog A Canadian electronic music blog. They post indie electronic music from Canada that skews towards the dark and gloomy. Facebook fans 5,142. Twitter followers 2,670. Niagara Falls, ON About Blog Canadian Music Trade supplying dealers and suppliers with all the information they need on the market, the products, important trends and business opportunities. Canadian Music Trade also keeps its readers informed on the industry events and shows (both nationally and internationally), associations, and provides a forum for communication, with a news section and new product information. Facebook fans 761. Twitter followers 214. Toronto, NYC, LA About Blog BestFan is a Canadian-based music and entertainment website for the latest music,videos and interviews in R&B, Hip-Hop, Pop and more. Facebook fans 4,837. Twitter followers 12,985. Montreal, Canada About Blog Montreal Rocks brings you music news, reviews and interviews for fans of all genres from punk & metal to pop and electronica. Facebook fans 6,444. Twitter followers 512. Canada About Blog DOMINIONATED is about building community and making human-to-human connections through the shared experience of music. It is a digital compendium, a concise collection of information, insight, and inspiration from ‘Canadian’ music by those who create it and consume it. Facebook fans 348. Twitter followers 309. Toronto, Canada About Blog PeteHatesMusic is an indie music blog based out of Toronto and Ottawa in Canada. Pete is an award winning Toronto-based indie music blog, CMBIA nominated Music Journalist/Blogger, Prism Prize juror, gummi bear lover. Facebook fans 335. Twitter followers 874. Canada About Blog Choral Canada is the national voice of the Canadian choral community, representing and uniting a network of conductors, educators, composers, administrators, choral industry leaders, and more than 40,000 choral singers from coast to coast to coast. Choral Canada advocates for Canadian choral music and musicians and encourages excellence in the choral art through their programs. Facebook fans 1,670. Twitter followers 1,254. About Blog I’m Brett Lockwood and over the past twenty years or so I’ve traveled to Canada numerous times for both business and pleasure. So, these postings are a way to share my reflections on Canadian arts and culture and to spread greater awareness of what’s going on with our good neighbor up north. Toronto, Ontario About Blog Toronto experimental music blog & podcast. Facebook fans 561. Twitter followers 831. Toronto, Ontario About Blog A night In The 6ix is a Canadian HipHop Blog & Entertainment company based in Toronto. Facebook fans 856. Twitter followers 13,395. Toronto, Canada About Blog Toronto Music Reviews is about good music, period. This is a place to find new and wonderful music that has either come through Toronto or was homegrown right here. Facebook fans 476. Twitter followers 2,715. Toronto About Blog Folk Music Canada is a member-driven organization that supports and promotes the Canadian folk music community, and is dedicated to raising awareness about the importance, diversity and cultural value of all types of folk music in Canada. Facebook fans 2,743. Twitter followers 7,955. Niagara, Ontario About Blog A weekly newsletter on independent Canadian rock'n'roll, curated every Sunday evening by Adam White of Punknews.org. A sober second thought on new music, cool records, and the people making their own culture. Facebook fans n/a. Twitter followers 2,530. About Blog Canadian composer and conductor Stephanie Martin is associate professor of music at York University’s School of the Arts, Media, Performance and Design; director of Schola Magdalena (a women’s ensemble for chant, medieval and modern polyphony,) conductor emeritus of Pax Christi Chorale; and past director of music at the historic church of Saint Mary Magdalene in Toronto. Facebook fans 901. Twitter followers 210. About Blog Matthew Emery (b.1991) is a Canadian composer who “writes with an honesty which enchants” (Vancouver Sun). His music has been performed across North America (Canada, USA), Europe (England, Sweden, Estonia, Russia, Spain, Poland, Czech Republic, Austria, Switzerland) and Asia (China, New Zealand, South Korea). His works have been heard on national television and radio both in Canada and USA. About Blog My name is Shawn and if you can’t tell, my last name is the name of this blog. “Toronto music blog Katuwapitiya.com” has been operating since October 2008. Katuwapitiya brings in the latest independent music, Toronto concert reviews with exclusive photos/videos, and a bunch of random ranting. Facebook fans 379. Twitter followers 1,188. Vancouver About Blog 3am Revelations dedicated to Canadian independent music with a focus on local Vancouver favourites. Facebook fans 365. Twitter followers 2,439. Toronto, ON About Blog Tim Hicks is a Canadian country music singer-songwriter from Niagara Falls, Ontario. He is a chart-topping and award-winning artist. His presence as a consistently electrifying entertainer on the Canadian music scene may stretch back more than a decade, but his latest and third studio full-length album, the alternately scorching and tender Shake These Walls, scans as strikingly new. Facebook fans 37,914. Twitter followers 44,549. Canada About Blog M.I.C. Series, the home of Canada's premier mixtape and compilation series. A platform showcasing Canada's best underground artists. Facebook fans 11,042. Twitter followers 2,275. Toronto, CA About Blog Collette Andrea (Collette Falk) was born in Brampton Ontario and has grown up in and around the GTA. Currently based out of Toronto, she has been actively writing music since the age of 14, exlporing blues, rock, indie, and acoustic musical genres. Facebook fans 559. Twitter followers 3,405. Toronto, Ontario About Blog Canadian Reggae World is all about promoting Reggae Music in Canada. The goal is to provide reggae merchandising, originated out of Toronto, Canada whose roots are deep from a Jamaican core. Facebook fans n/a. Twitter followers 3,544. Toronto, ON & Nashville, TN About Blog Country Music Junkies is your online source for country music. Check out weekly updates of new artists, songs, events, interviews, and insider information. Patrice Whiffen is a radio broadcaster with an inside view of the world of country music. Facebook fans 780. Twitter followers 1,725. Canada About Blog Doin that front porch thing. The Front Porch is an authority on Canadian country music. From new music reviews, to news, or just gossiping about the industry, the Front Porch is the place to come hang out. Facebook fans 23. Twitter followers 102. Vancouver About Blog There is much to be said about common interests, and that has been the backbone to the story asapmusicblog.ca. The Vancouver Canucks, music, and writing – the three things that connected the two original founding members of the website back in 2009. asapmusicblog.ca greatly supports Canadian music, and everything in-between. Facebook fans 331. Twitter followers 726. Mountain View, CA About Blog Comprehensive up-to-date coverage for canadian music, aggregated from news sources all over the world by Google News. Facebook fans n/a. Twitter followers 213,638. 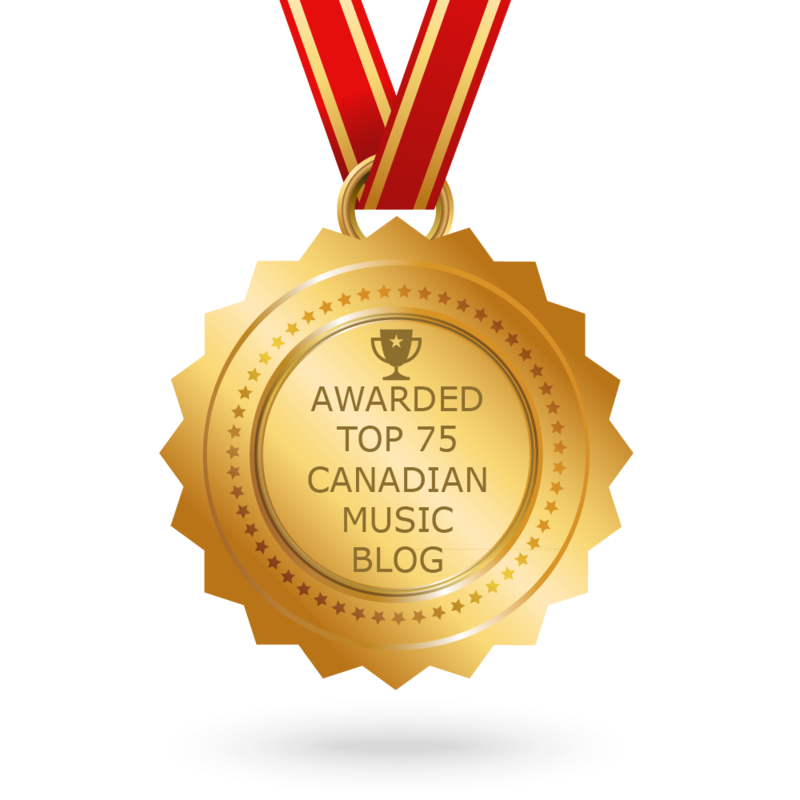 CONGRATULATIONS to every blogger that has made this Top Canadian Music Blogs list! This is the most comprehensive list of best Canadian Music blogs on the internet and I’m honoured to have you as part of this! I personally give you a high-five and want to thank you for your contribution to this world.